Grow 3 of the juiciest and fruitiest strains for indoor growing yourself! A perfect fruit bowl you don’t want to miss in your garden. Dutch Passion - Colour Mix 4. 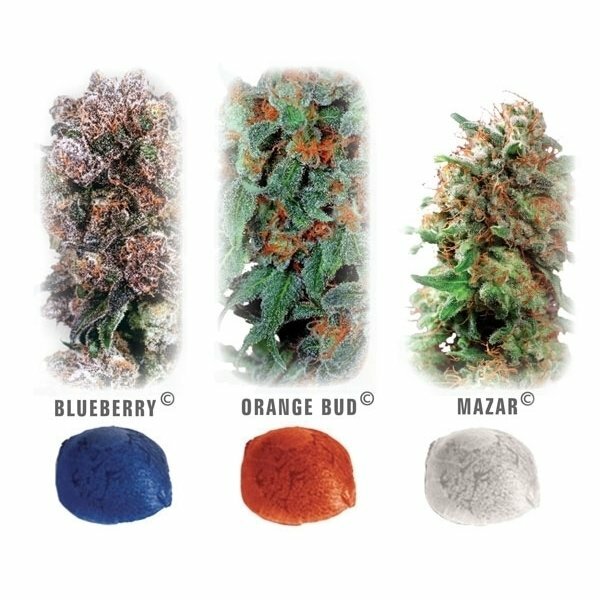 Colour Mix 4 by Dutch Passion is a tasty blend of 3 great strains for indoor growers. The 3 lucious strain Dutch Passion has selected for this collection is like a fruit bowl you don’t want to miss in your garden. Mazar: A very consistent crossing between the ancient Afghan and a true Skunk. This strain is the old school beauty that can promise a great yield without too much effort. She smokes with an excellent upper high. Blueberry: This strain is the Indica dominant legend that already established her name and fame during the 70’s. She is a guarantee for a rewarding harvest and her beautiful color-display during flowering period. Blueberry by Dutch Passion really does taste like berries and her long-lasting upper high is just amazing! Orange Bud: This strain has been around for ages, rocking the coffee-shop world as one the best Skunks since the 90’s. She has won many awards and is known for her outstanding yielding capabilities. 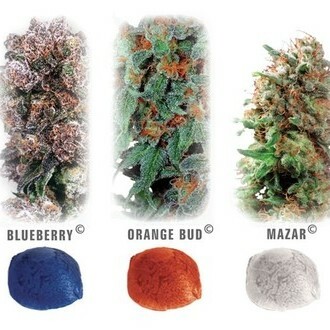 Orange Bud by Dutch Passion has a luscious fruity taste and comes with a potent and active stone.